Break the Myth of Full Coverage Insurance | Steven R. Booker, P.C. I had a client who was injured by a car hydroplaning and hitting her vehicle head-on. The at-fault driver only had $30,000 insurance for their protection and $30,000 was insured on the owner’s vehicle. My client was injured and had over $190,000 in medical bills that needed to be paid. There was no need in investigating what happened in this accident, it was clear to see what caused the wreck. The law part came in when my client needed physical therapy and could not afford it on top of her hospital bills. I was able to work with my client’s medical providers to get my client physical therapy and was able to negotiate the medical bills down to $30,000 instead of over $190,000. Thankfully, my client was able to make some kind of recovery for her damages. However, if client’s insurance agent would have taken the time to fully explain to her the benefit of UIM, then she would have had coverage to pay for her damages. State law requires that insurance agents offer UIM. But in order to save money for the insurance company, most agents do not fully explain the coverage and says that you have Full Coverage, knowing in reality you don’t if you do not have UIM and Personal Injury Protection or Med Pay (Oklahoma) on your insurance policy then you do NOT have full coverage. So what is UIM? 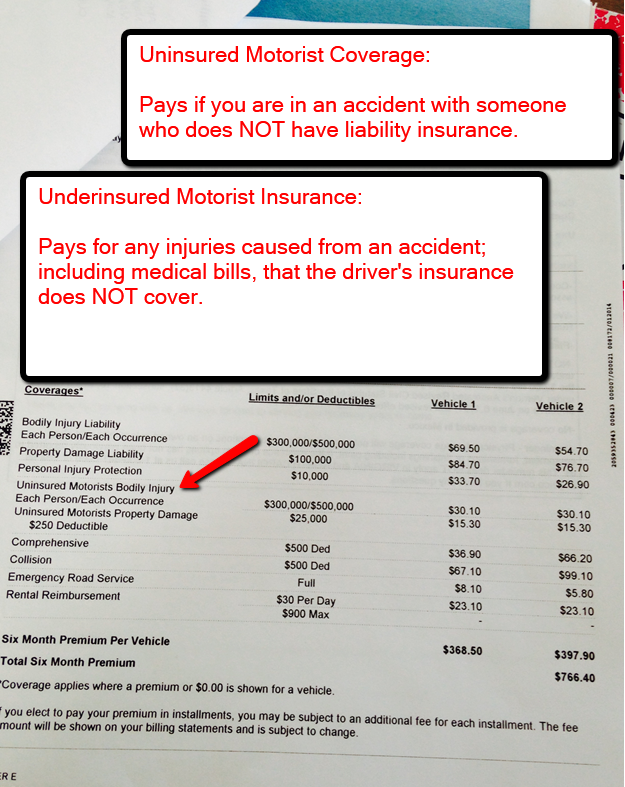 UIM and PIP and/or Med Pay are additional auto coverage that you and your family need to protect from the unthinkable. As the illustration shows below, it is only $30.10 extra per vehicle to have $300,000.00 in UIM coverage!!! Break the myth and review your insurance coverage. Posted on 09/30/2015Bars poured a little more than they could handle. Posted on 09/18/2015Two students killed and three injured in a bus crash.